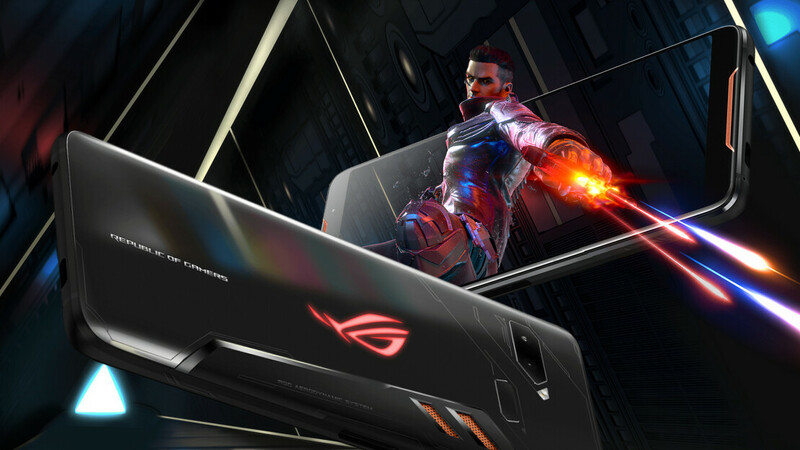 Last month, when Asus started selling its gaming-oriented ROG Phone in the US, only one version of the handset was made available - priced at $899.99 and offering 128 GB of storage space. Folks looking for more storage space should be happy to know that, as of this week, an Asus ROG Phone with 512 GB of internal memory is also available, although this obviously comes at a higher price. If you need an Asus ROG Phone 512 GB in your life, you'll have to pay no less than $1,099.99 for it. The smartphone can be bought from Amazon (here) as well as from Asus itself (here) - in both cases, you're getting an unlocked handset with US warranty. Mind you, the ROG Phone is compatible only with AT&T and T-Mobile (plus their prepaid brands), so you won't be able to use it on Verizon, Sprint, or US Cellular. Extra storage space aside, the Asus ROG Phone 512 GB does not differ from the 128 GB model. This means you're getting the same interesting design and the same features, including a unique user interface based on Android 8 Oreo, a 6-inch AMOLED display with 1080 x 2160 pixels, a powerful Snapdragon 845 processor, 8 GB of RAM, and a really good dual camera. Our Asus ROG Phone review will help you find out much more about this unusual handset. That's a great price for the amount of storage. Apple charges those prices because they know that their loyal fans are poor but doesn't want to like poor plebs and keep buying the trash they throw on the market. In Europe xs max is about 1600 Euro for the 512gb version, that's insane, it's a month salary. Definitely digging the design of this phone, let's see how it's gonna do. Price a little high though. I like gaming, but not interested in this one, mainly because my current phone can run any android game as good as this RoG phone, and that 90Hz screen is just useless on gaming since almost all game still capped at 60fps (or even 30fps). I'd rather get a Switch, and buy a bunch of accessories and games with that amount of money. But if they drop the price to $400 next year, I might consider it as secondary gaming phone. is there any website that's provide me this phone in virginia? i can buy an s9+ for 500$ brand new, this phone does not offer 600$ more in value and capabilities, besides the next gen cpus and memory and ram are due next year, the 845 is on the way out yet they are charging as if it just came out.